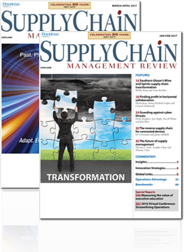 Home Smart supply Chain Fall Season Predictions – What’s Next for Global Supply Chains? The new tariff wars will cause a lot of re-thinking of global strategy at the C-level. Executives and their organizations will be carefully considering where in the world to manufacture and how much risk is involved in global supply chains. Trade compliance people and supply chain people will get noticed and asked for input into strategic decisions. I see this as a pretty significant change that has been emerging for a few years. In the past, supply chains, operations, and trade compliance were often considered an after-thought by executive leadership teams. But with the rise of globalism, global sourcing and manufacturing, and the new trade wars, these functions within organizations are front and center. Risk in global operations has become a strategic consideration. Trade compliance people are being listened to regarding how tariffs impact the company’s financials. Strategic decision-making is more broadly based on global operations, not simply financial results. Data analytics will become the most important skill for supply chain professionals. Understanding what is happening in your supply chain by examining, analyzing and more importantly, interpreting the data, will become essential. Whether examining supplier risk, tariff risk, logistics costs, or manufacturing costs, analytical skills will be paramount. Supply chin professionals will need to upgrade their analytical skills. It is no longer good enough to be good at sourcing or logistics or compliance. Now supply chain professionals need to be able to mine, report, and interpret data in order to make informed and better decisions. Supply Chain professionals coming out of universities need an analytical background in addition to supply chain concepts. Xi Jinping’s One Belt One Road (OBOR) will increase China’s influence and power around the world. China’s ability to control world trade through significant investment in developing countries in the Middle East and Africa, and infrastructure investments such as the Sino-European Railway will eclipse all other nations in economic influence. Infrastructure investment is/will be the single most important development for the future political landscape of the world. We need to pay attention to what is happening with Chinese global infrastructure building. As the Chinese build roads, rail lines, bridges, and schools in developing nations, they are also building long-term economic ties and trading partners. This is the kind of economic strategy that the U.S. has practiced through organizations like USAID and other economic aid for many years, in order to stabilize democratic governments and develop global relationships. Now China is in the driver’s seat with massive financial assistance across the Middle East and Africa and the development of global trade routes. China’s economic influence will surely be felt worldwide as the U.S. retreats and China surges forward. My predictions are based on what I see and experience happening in my global clients’ organizations by what they are doing, what they are asking about, and what they are concerned with. Listening carefully and observing helps to inform my opinions. What do you see ahead in your global supply chains? Ms. Coates is the Executive Director of the Reshoring Institute and the President of Blue Silk Consulting, a Global Supply Chain consulting firm. She is a best-selling author of: 42 Rules for Sourcing and Manufacturing in China and Legal Blacksmith – How to Avoid and Defend Supply Chain Disputes. Ms. Coates lives in Silicon Valley and has worked with over 80 clients worldwide. She is also an Expert Witness for legal cases involving global supply chain matters. She is passionate about Reshoring. Previous articleWhat is Required to Build the Decentralised Ecosystem?